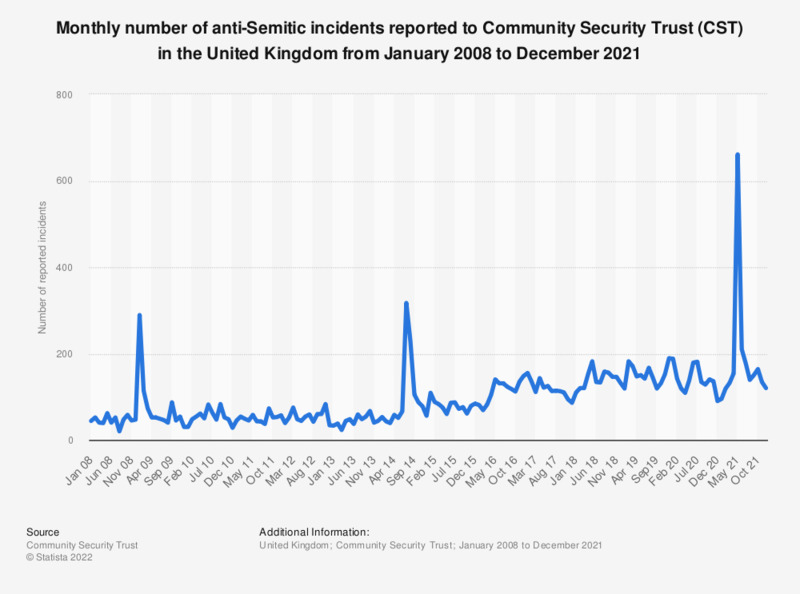 This statistic shows the number of anti-semitic incidents reported to the CST (Community Security Trust) in the United Kingdom (UK) from June 2016 to June 2018. The number of such incidents has fluctuated over this period, peaking at 160 incidents in May of 2018. Everything On "Antisemitism in Europe" in One Document: Edited and Divided into Handy Chapters. Including Detailed References. Generally speaking, do you think that the Holocaust is sufficiently taught or not in Italian schools? Which of the following best describes how useful a Stanley knife or other utility knife is to you?